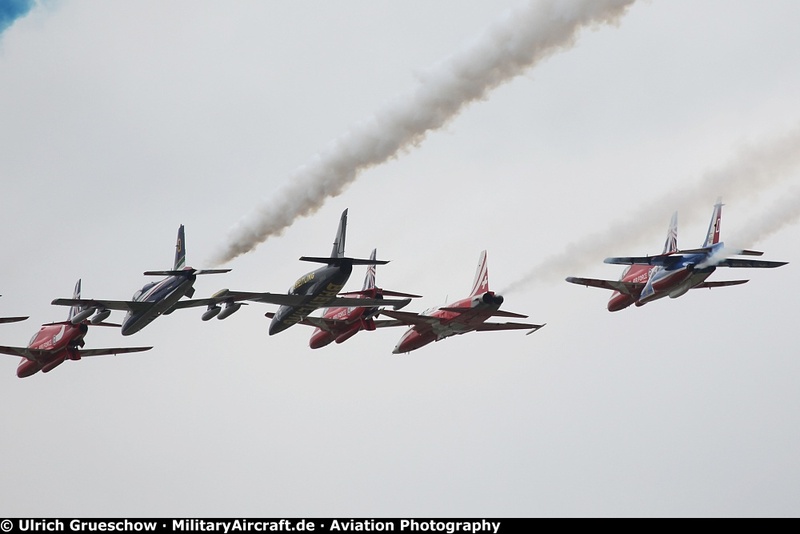 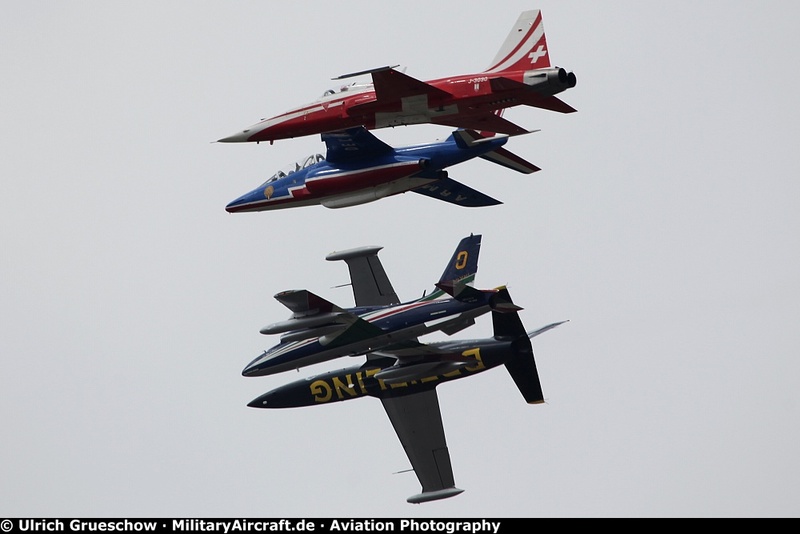 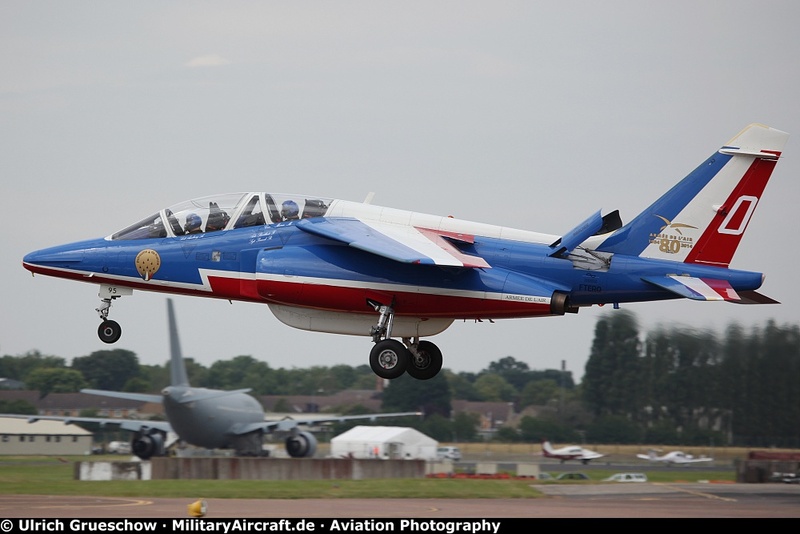 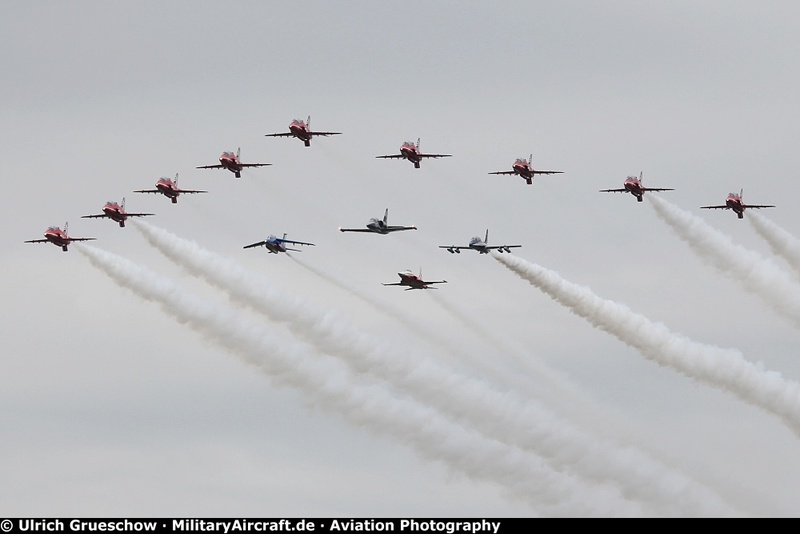 A salute to the Red Arrows 50th display season at RIAT 2014. 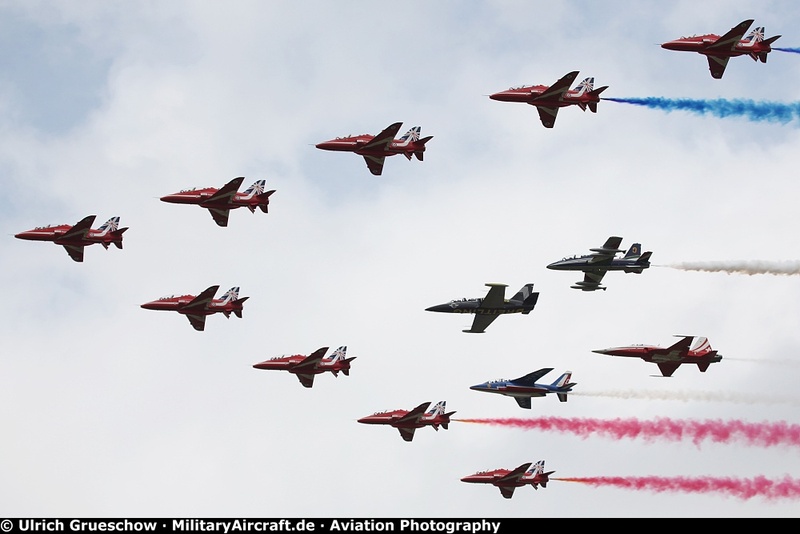 The year 2014 marks the 50th anniversary of the Red Arrows, who came back to RAF Fairford, where they were first formed. 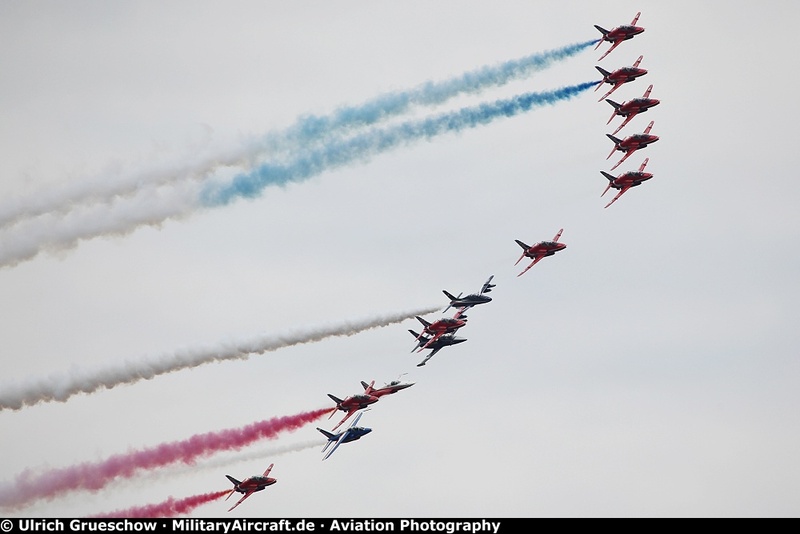 HRH Prince Charles visited The Royal International Air Tattoo at RAF Fairford on Friday, 11 July 2014 as the Red Arrows celebrated their 50th display season. 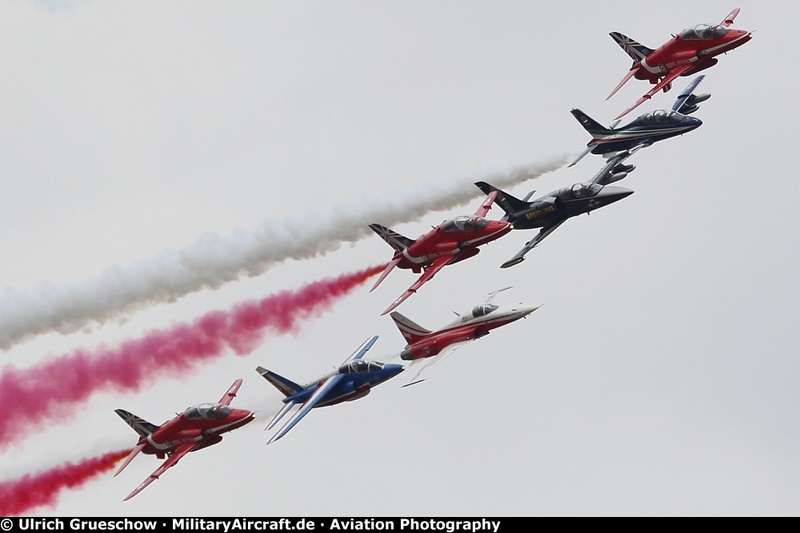 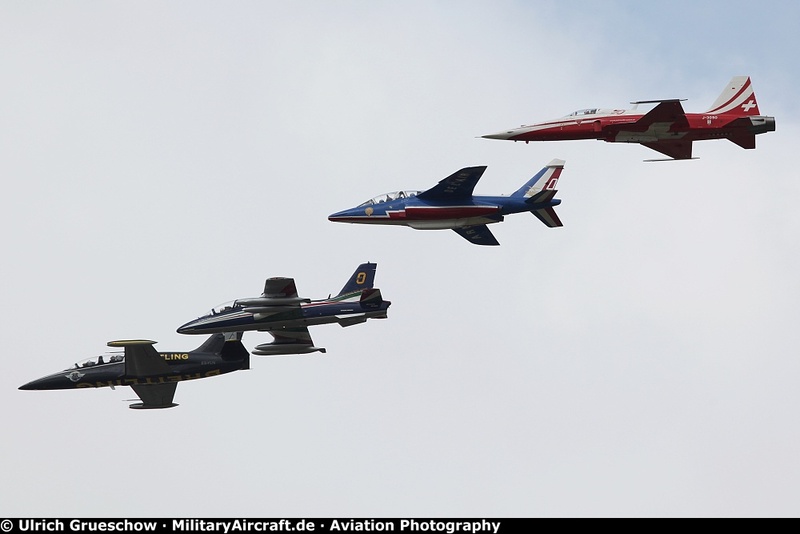 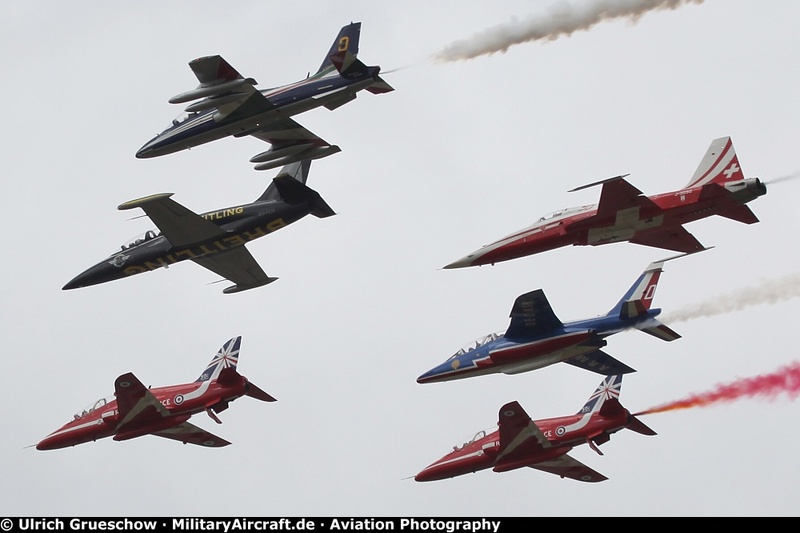 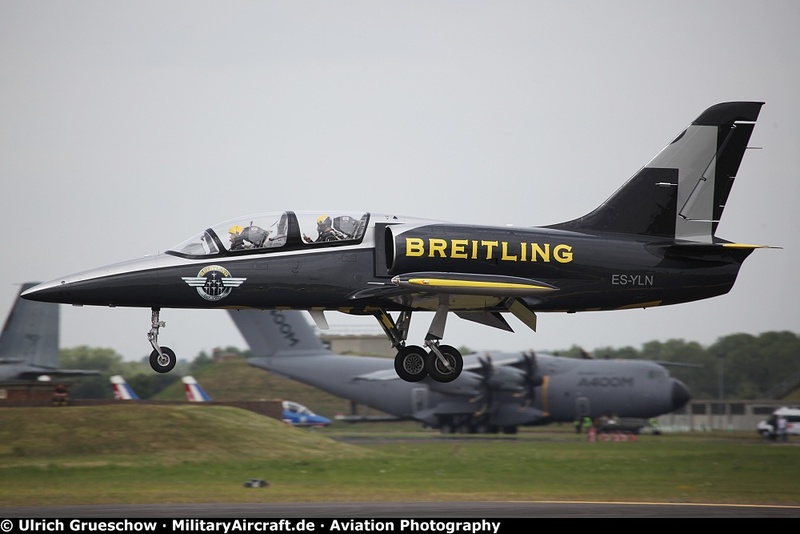 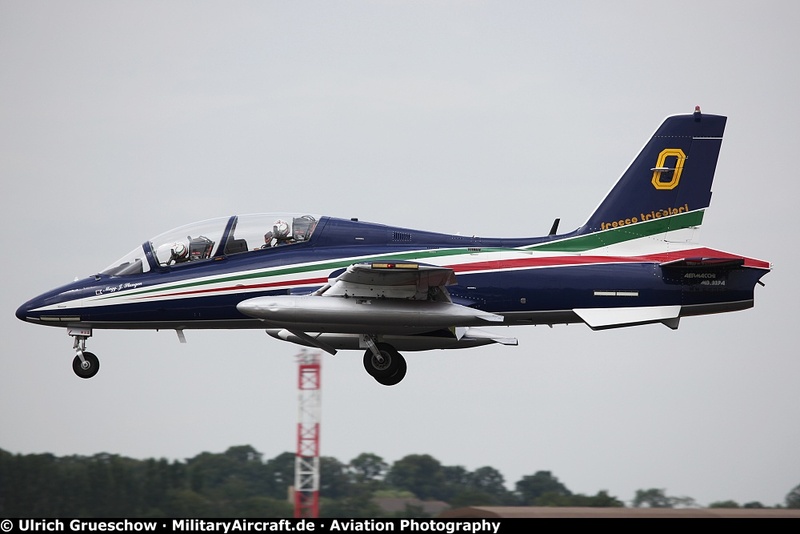 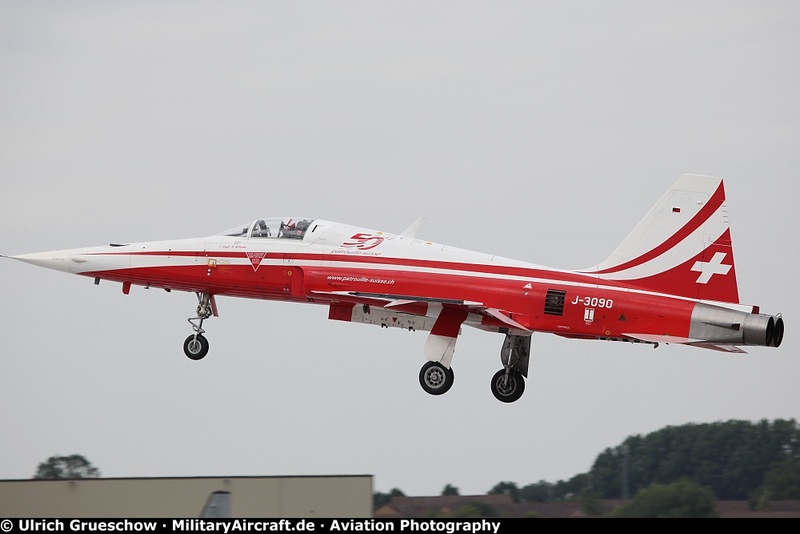 The overall highlight was a joint flypast by all nine Red Arrows with the leaders of the Breitling Jet Team, La Patrouille de France, Il Frecce Tricolori and the Patrouille Suisse.